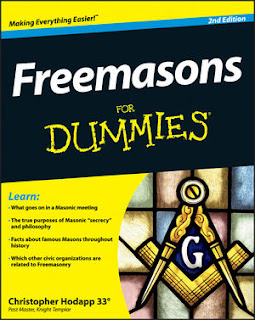 Freemasons For Dummies: Russian Freemasonry and a "Muslim-Masonic Conspiracy"
Russian Freemasonry and a "Muslim-Masonic Conspiracy"
Now, following the appearance of a remarkable interview of Paris-based Chechen historian Mairbek Vatchagayev by Naima Neflyasheva of Moscow’s Center for Civilizational and Regional Studies, those Russians given to such conspiracy thinking are likely to start talking about “a Caucasian-Masonic conspiracy” or even “a Muslim-Masonic” one (kavkaz-uzel.ru/blogs/1927/posts/24171). The involvement of Russian leaders in the masonic movement both in Russia at the end of imperial times and especially during the early years of the first emigration is well known and is recounted by the late Nina Berberova in her 1986 book 'People and Lodges: Russian Masons of the 20th Century' (in Russian; New York: Russica). But the involvement of people from the Caucasus in masonry is much less well known – Berberova mentions it only in passing – and consequently Vatchagayev’s findings following a visit to the Masonry Museum in Paris are intriguing not only for what they say about the past but also about how Russian nationalists are likely to integrate them in their ideology. The Chechen scholar says that there were many Caucasian emigres who joined masonic lodges in the emigration during the 1920s. Indeed, he suggests, they may have numbered in “the hundreds.” Their numbers varied over time and grew particularly with the influx of new people from the second emigration after World War II. The first such lodge consisting of people from the Caucasus was called “the Golden Fleece” and was organized in order to provide assistance to impoverished emigres. It existed for a few years and then was succeeded by the Prometheus lodge, although that folded shortly thereafter with some of its members then joining the Russian-led Astral lodge. Thus, the North Caucasus lodges existed only for a relatively brief time, mostly from 1924 to 1930. Among those in them who achieved the highest status in masonry was Amina khanum Shikhaliyeva, the daughter of a Russian major general and wife of Ufa’s deputy in the third Duma, and Makhmud Sheikh-Ali, a wealthy figure from Daghestan. Vatchagayev calls for more research and suggests that it is entirely possible now to conduct it, at least in Paris. But even what he told Neflyasheva is likely to be enough for Russian national extremists to begin talking about traces of such an imagined conspiracy against their country. While Freemasons are usually considered to be henchmen of some sort of jewish conspiracy, a Muslim one is an unusual twist. The possible existence of a lodge in the Caucasus ninety years ago is an unlikely source of any modern day conspiracy, especially among the current population there. Chechen Muslims in the Caucasus region of Russia are largely divided between Sunni Islam and Sufism. Today, there is a small, radicalized population of fundamentalist Sunnis called Wahhabis, but they are extremely unlikely to want anything to do with Freemasonry because of their strict view of Islam. Russian Freemasonry and political unrest have had a long history over the last three centuries. 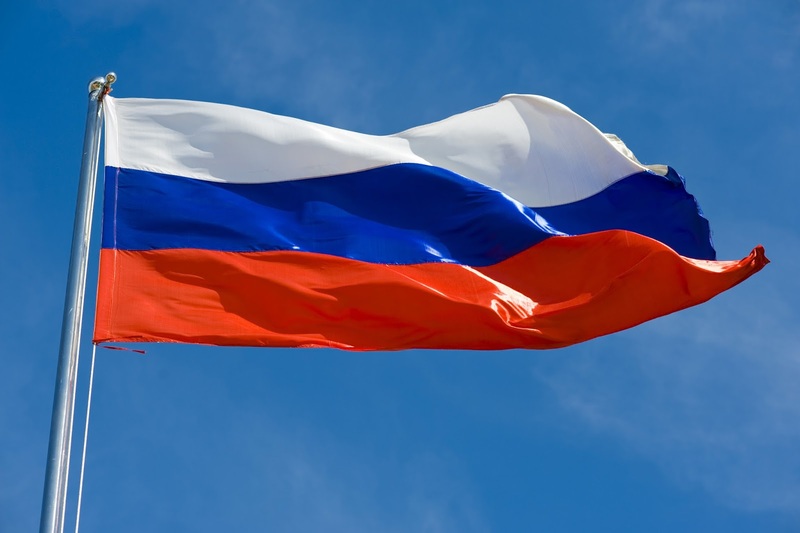 Freemasonry in Russia first appeared in the early 1730s, primarily via English, German, French and Swedish provincial lodges that were formed by foreign diplomats there. In the 1780s, a split erupted between the lodges in Moscow and St. Petersburg over differences in philosophies: the Moscow lodges began to be dominated by the Rite of Strict Observance, and followed the path of Rosicrucianism, while the St. Petersburg lodges were using the Christian-based Swedish Rite. In 1785, Catherine the Great began to get nervous about Masonry, driving many leaders out of the country. Before her son, the truly nutty Paul I, came to the throne, he supported Masonry, but quickly changed his mind once he became Tsar, largely out of fears over the French Revolution and the alleged role Masons had in it. He outlawed the fraternity in 1796, along with all other suspected secret societies in the country. Paul was right to be afraid of revolutionaries, although not necessarily Masonic ones. He was assassinated by dismissed military officers after ruling just five years, and was succeeded by Alexander I, who was more sympathetic to Masonry. Lodges came back out into the open again, and began to grow. Russian Freemasonry flourished for just two decades, when Alexander's advisors convinced him that Masonic lodges were hotbeds of political opposition (which was probably true at the time, as they were overwhelmingly populated by mostly the nobility and public servants). 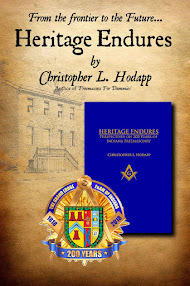 Even during this period of the "Golden Age" of Russian Masonry between 1810 and 1822, the lodges were under surveillance by a Special Office of the Ministry of Home Affairs. The fraternity again found itself outlawed by 1822 and went underground once more. Tsar Nicholas I continued the official ban of Russian Masonry throughout his reign. Nicholas II, the last Tsar of Russia, came to the throne in 1894. Masonry came into the open once more, again very briefly, in the aftermath of the First Russian Revolution of 1905, and the October Manifesto of 1905 granted limited rights to unions and private meetings. In spite of bloody internal battles, riots and successful military suppression of unrest, Nicholas eventually gave in to some social and government reforms, and managed to retain his throne. Russian Masons who had been expatriates and started Russian language lodges in Paris chartered by the Grand Orient of France, returned to their homeland and quickly formed the Grand Orient of the Russian People. Among others, it attracted Alexander Karensky, who was a central figure of the next Russian Revolution in February of 1917, that resulted in the abdication (and subsequent murder, along with his family) of Tsar Nicholas II. But Kerensky and his fellow revolutionaries were themselves overthrown just 8 months later in the October Revolution, and he fled to Paris, and eventually the U.S.
As for Masonry, it would not survive the harsh government of the Communists who came to power in the October 1917 Revolution. Freemasonry was completely outlawed in Soviet Russia, a situation that lasted for almost 75 long years, and Russian Masons once again returned to exile. The last lodge of Russian Masons in Paris closed in the 1970s, with just 7 aging members. For a far more detailed account of Russian Freemasonry, see the Grand Lodge of British Columbia and Yukon website HERE. Magnificent post. Thank you for the detail. I do hope that Russia's far right are passing out tinfoil hats with their idiocy, to counteract the invisible Nargles affecting their brains. The author writes of those who peddle antisemitism and deluded conspiracy claptrap at its best. Leo Taxil would be so proud of Russia's far right, if they are, indeed, peddling this. Speaking of Taxil, Bro. Hodapp, you might think of applying an award to some of your articles, about conspiracy kooks, and call it the 'Leo Taxil Award'. You might even design a small gold medal pic, to add to the article, in order to give a reward to the kooks and quacks, when they write something that G. Jogand-Pagès would be proud of.